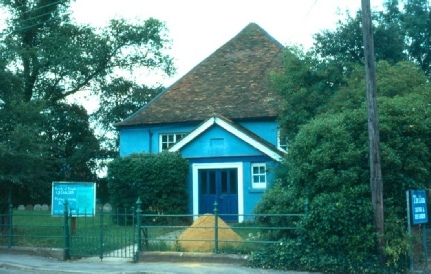 The Quaker Meeting House was built in 1674, one of the earliest in Essex. 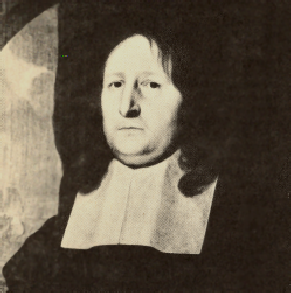 The growing number of people leaving the Church of England to join the Quakers caused alarm to the Vicar, the Reverend Josselin. In his diary, he greeted the opening of the Meeting House with scorn. 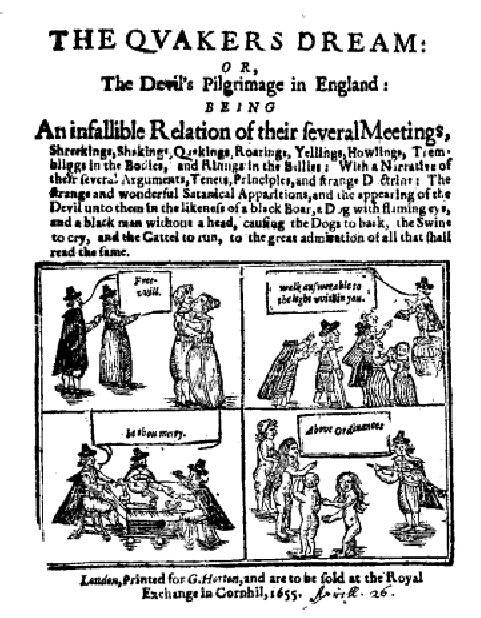 The Quakers increase. John Garrard, their head in our town, has built them a meeting place, to meet once a month. I am not over solicitous, having seen Abbott’s meeting house left. I do not question the downfall of that sect under the feet of Christ and his servants. 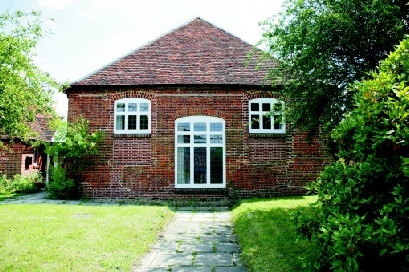 In the 19th century a front extension was added to the Quaker Meeting House. 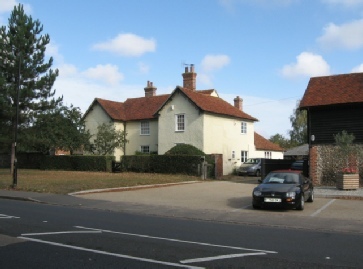 The front of the building was restored in 1990 when a new meeting room was added on the north side. 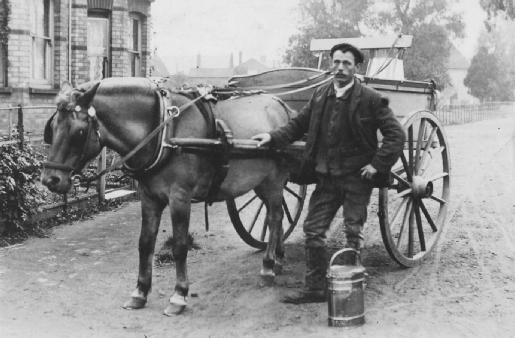 Further down Burrows Road, Dave Hislop was photographed on his milk round. 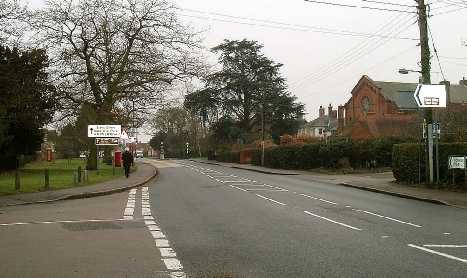 On the corner of Foundry Lane was Priory School, under the supervision of the Misses Mann, with their residence Bray House next door. 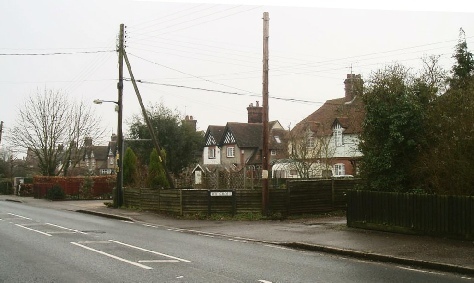 The cottages beyond that house were demolished in 1914 and the site remained empty until two Police houses were built, soon to be joined by the last of the Hunt’s retirement bungalows in 1962. 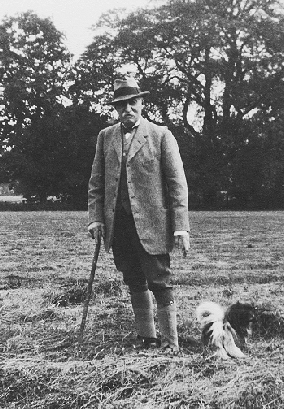 Priory Farm was established by Henry Carwardine when he became Lord of the Manor in 1825. 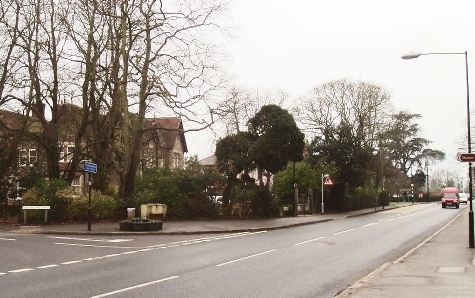 Its land included the present Colne Valley Golf Course and this house (originally called ‘Sonnels’) was chosen as the farm manager’s residence. 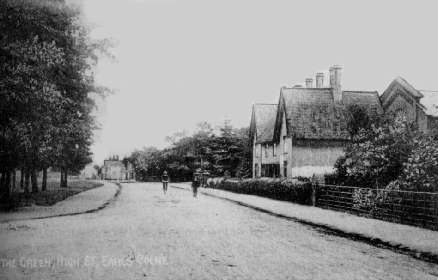 The earliest photograph of the village was taken in 1872, looking from the corner of Burrows Road towards the Baptist Church. 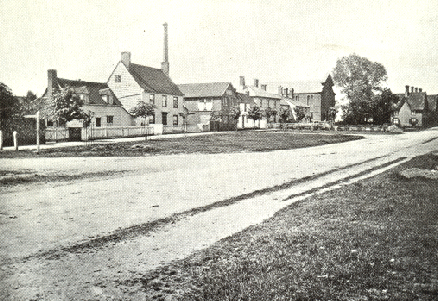 The area nearest Foundry Lane was enclosed by Reuben Hunt when he built his residence ‘Tillwicks’ four years later. 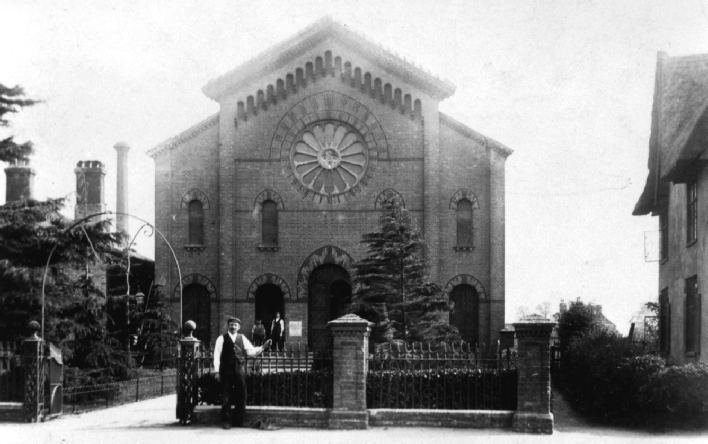 A closer view of the Baptist Church shows the entrance as it looked after the chapel was rebuilt in 1860. 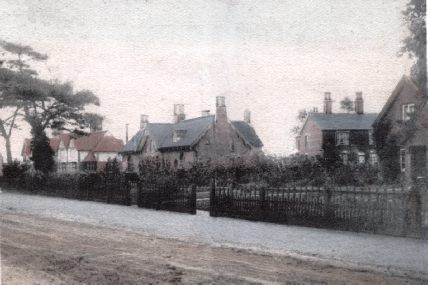 Looking east from the corner of Station Road, we can see the thatched cottages next to the Baptist Church which were demolished in 1937 to provide the site for the Atlas Bungalows. 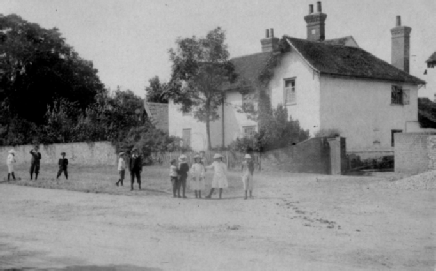 Opposite the cricket meadow, on the corner of The Croft, stood the former Workhouse which was later converted into an Infant’s School by Mrs Mary Gee of Colne House. 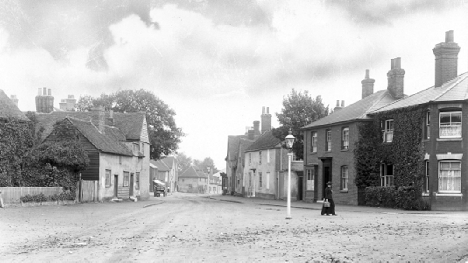 The left-hand photograph was taken just before the last of the Hunt’s houses were built on the site in 1912. 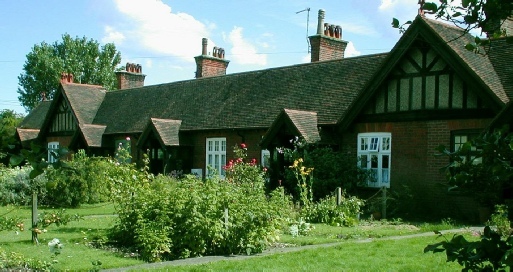 Although their thatched roofs make them look more ancient, the cottages on the corner of Station Road were also built by Mrs Gee as accommodation for her estate workers in the middle of the 19th century. 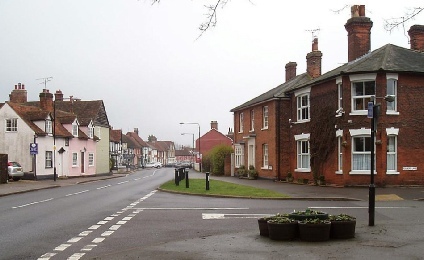 We end our journey through the village at its western boundary. 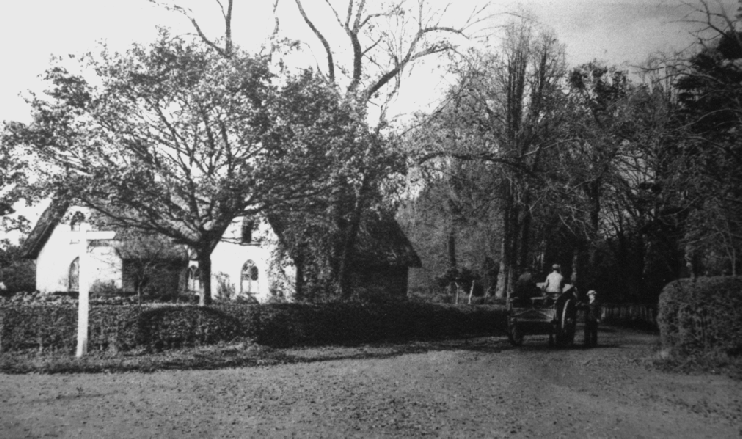 Stone Bridge on the road to Halstead looks even narrower in earlier times. 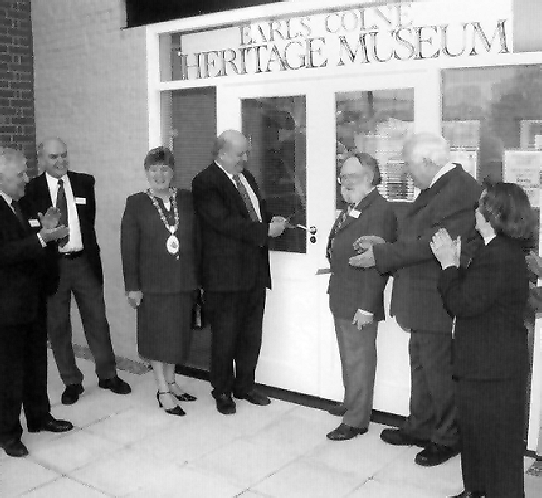 The Heritage Museum has itself gone through its own changes in the past few years. 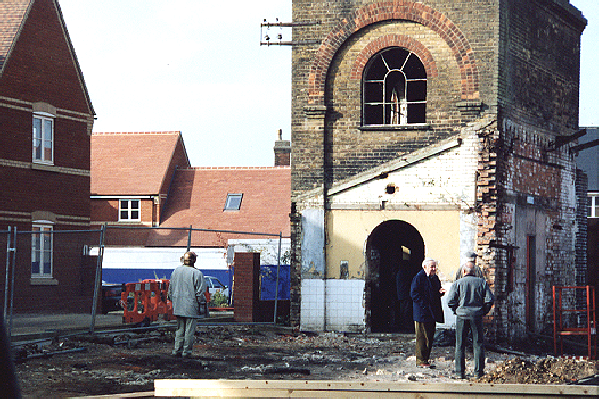 In this picture, Dr Brian Taylor and members of the Museum Working Group were inspecting the sorry state of the water tower in October 2003 before restoration began.